Since Apple switched to 64-bit processors in their mobile devices, the media has loved to compare their CPU-only performance to others with Geekbench benchmark. Nowadays Geekbench is the place we get the first clue about future device’s performance. Now there’s three new interesting Geekbench leaks out. First there is an image from MyDrivers that shows Apple’s new A9 chip’s performance. The A9 chip is going to power the upcoming iPhone 6S. According to the leak, the A9 is a tri-core CPU clocked at 1.51GHz. It scores a respectable 1811 in the single core test and a more modest 4577 in the multi core test. 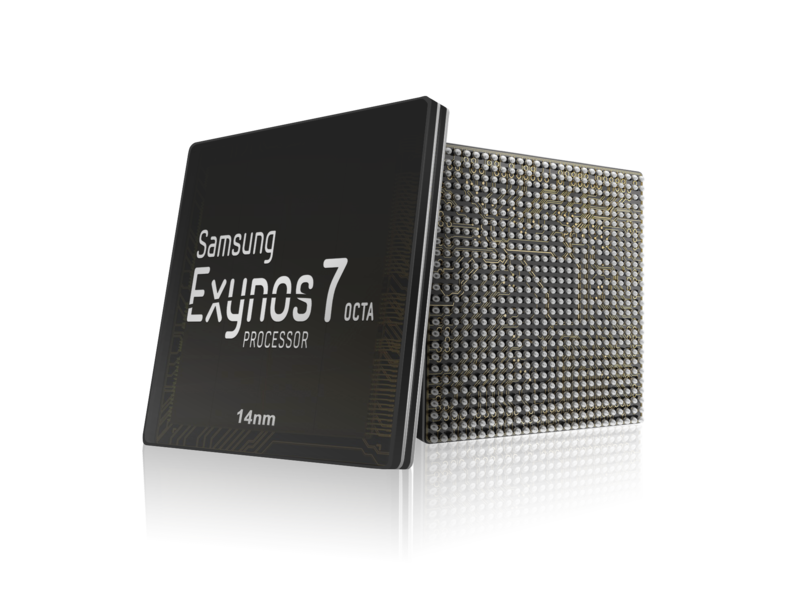 The result puts it in par with Samsung’s current flagship CPU, Exynos 7420 that scores a little lower in the single core test but reaches ahead in the multi core benchmark. The leaked benchmark also confirms that iPhones are finally getting a second gigabyte of RAM. The second leak was about LG’s own chip. After problems with the overheating Snapdragon 810 and a compromise with the flagship G4 only packing a Snapdragon 808, LG is reportedly working on its own SoC. The chip is called NUCLUN and it packs four high speed Cortex-A72 cores clocked at 2.1GHz and four Cortex-A53 cores clocked at 1.5GHz. 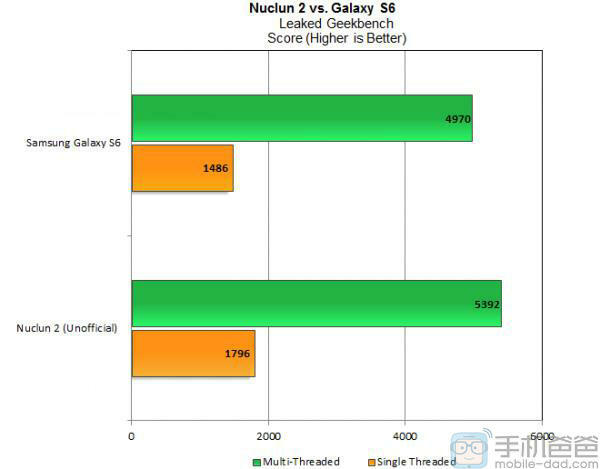 The Geekbench scores reveal the NUCLUN comfortably beating the Exynos 7420 of the Samsung Galaxy S6. The single core result is comparable to iPhone 6S’s leaked result but in multi core test NUCLUN beats even the Exynos chip by a noticeable margin. It’s still unclear where the NUCLUN will debut. Nexus phones have featured Snapdragon SoCs since the Nexus 4, so the chip is unlikely going to the 2015 Nexus 5. The last interesting benchmark leak is about Samsung’s Exynos M1 Mongoose CPU. A Chinese website Weibo has leaked Geekbench results of the upcoming Samsung chip. The results are impressive. Apple A9, LG NUCLUN and Samsung’s own Exynos 7420 are left well behind as the Mongoose scores 2136 in the single core test and 7497 in the multi core test. Sammobile also reports that the new Mongoose beats the Exynos 7420 even in power saving mode. The results are so high, because Samsung is not using the stock Cortex cores. The cores of the Mongoose are modified by Samsung the way Apple does with their chips and the optimization brings better results. While the Apple A9 results were as impressive as expected, LG building their own chip and Samsung crushing the benchmark records were a little surprising. It’s really interesting to see where the LG NUCLUN debuts and can the upcoming Snapdragon 820 respond to the Samsung’s Exynos M1 Mongoose.